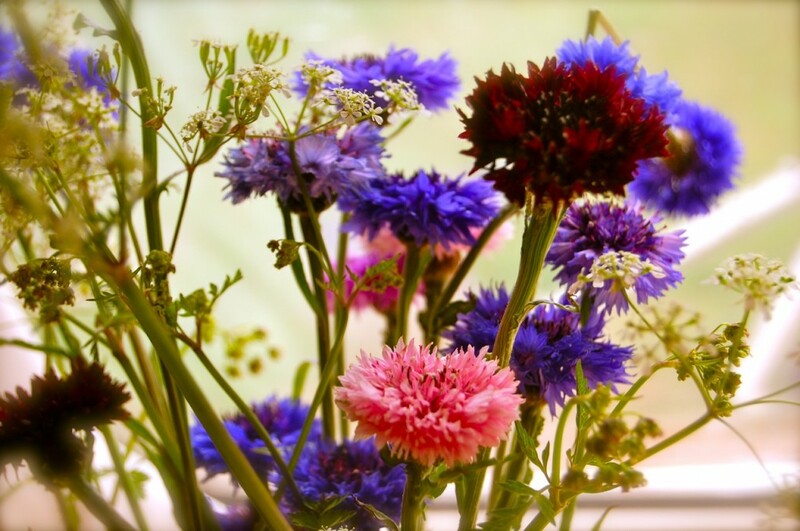 Our super groovy cornflowers are just coming into flower and will be available in the shop in ten days or so to be sent anywhere in the Uk for a next day delivery. This small bunch of a dozen is the first harvest…I have thrown them in a jar with some Cow Parsley. Simple…gorgeous…and they make us very happy and proud of our labours. Sown on the 23rd of August last year….seems years ago. Let me know if you wish to pre order some and I’ll reserve some for you. email me at contact@higgledy.com or you will be able to buy at the click of a mouse in less than a fortnight. Mr Higgledy To The Rescue. Growing Flowers For A September Wedding. Did you sow all of your hardy annuals on the 23 august!! I am planning to be organised this year with both my biennial and hardy annual sowings. 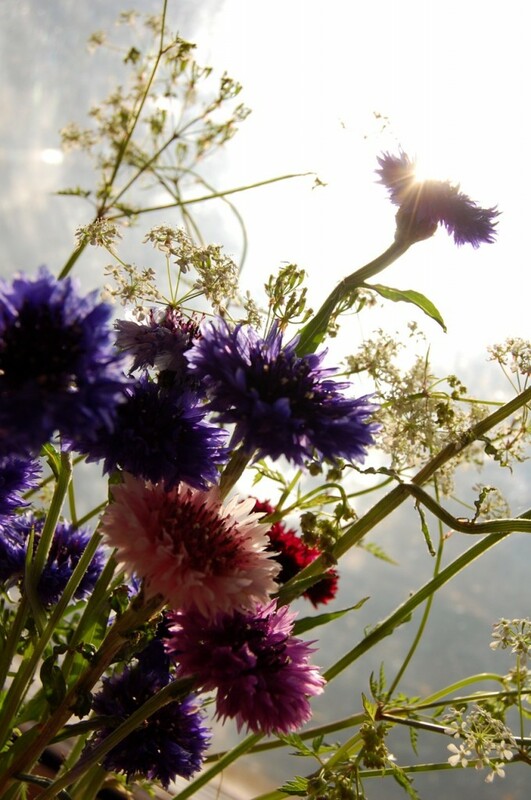 Did you over winter your cornflowers outside or were/are they being grown in a poly tunnel. i scattered some of your Ammi last october outside and how have 6′ plants that are just about to flower. they look unrecognisable compared seed sown in spring…. to All advice welcomed and needed! Hi Ben – I am loving your website and your enthusiasm and your general sense of humour!! Hope you don’t mind a quick question: Should I be pinching out the growing tips of my Cornflowers (spring sown – seeds from you!) and also my Cosmos – bought as plugs – which are forming flower buds at 4ins high!. Hi Annie, I never pinch cornflowers or Cosmos…they shouldn’t be budding so short though…what variety of Cosmos are they? 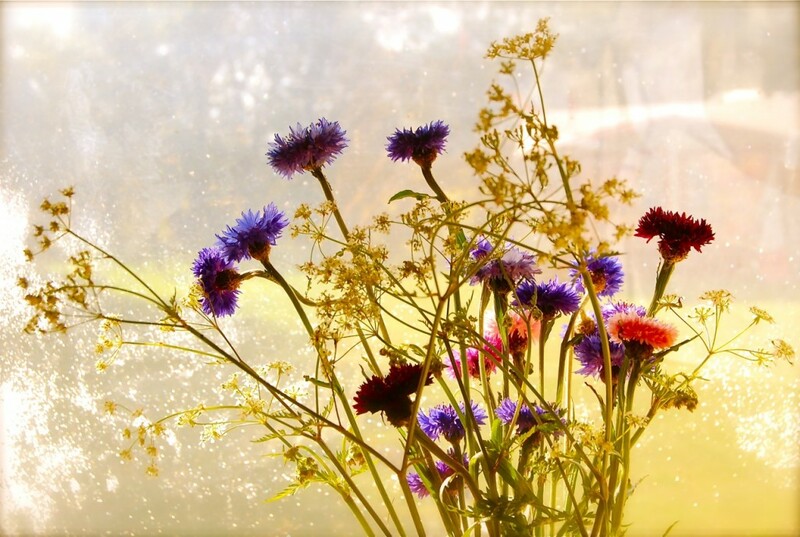 Both are cut and come again…cut cornflowers above a leaf node and it will produce two more flowers…albeit on shorter stems. They are beautiful shots of the Cornflowers – they made me long for summer which seems a long way off at the moment.